The Menu Express printed Box Toppers. * Printed on 100lb gloss. Get return customers with box toppers! Send coupons and advertisements with your products. 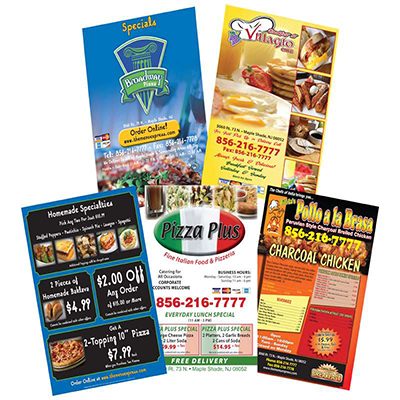 Take advantage of advertising space right on top of your pizza boxes and take out packages. Even leftover boxes are a great opportunity to attach a box topper and drive traffic back to your restaurant. Send your product home with your customer with an incentive to come back with a full-color box topper from The Menu Express. Call us toll Free at 877-250-2819, To have your Box Toppers printed.